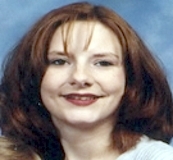 Medical Conditions Powers was addicted to drugs at the time of her 2008 disappearance. She needs medication for unspecified reasons. Distinguishing Characteristics Caucasian female. Red hair, brown eyes. Powers's maiden name is Locke. Powers was last seen at her home in the 100 block of Granto Road in Harvest, Alabama on July 12, 2008. Her husband stated they both went to bed that night and when he woke up in the morning, she was gone. He didn't report her disappearance for two weeks. Powers left her wallet, driver's license and medication behind. She was enrolled in an outpatient drug rehabilitation program at the time of her disappearance. Powers left behind three children, one of whom died of cancer in 2012. She attended Sparkman High School in Harvest. Her family stated that in spite of her drug problem, she would not have abandoned her family, and they believe she's deceased. Authorities believe she was the victim of a homicide. Updated 7 times since October 12, 2004. Last updated July 15, 2018; three pictures added, details of disappearance updated.